Man, way to early for the season to have this. Other players gotta step up ! I can see a big suspension coming Rondo's way. This season started worse than expected ..
Chris Paul has to get the same suspension as rondo. Way to early to say this. I've seen the positive and it might take 20 games for the team to become a gel and form together. Bad way to start the season. I'm bummed, but not worried. Our guys will be back and hopefully firing on all cylinders. How we played tonight was already a big improvement over the Trail Blazers, and like bigfetz said...there's still a lot of "little things" that we can definitely improve on. Make some dang free throws and stop letting the other team shoot uncontested shots, and we would've taken this game. I'm guessing 5 game suspension. So does this mean Svi will play now? And offense he's been pretty lackluster honestly. Svi must play now we need 2 more players in the rotation and we really really need some 3 pt shooting. happy for BI. dude earned his stripes tonight. turning point for him, don't let the old head b***hes like CP3 and harden give you s**t.
from watching the replay many times, all 3 should get the SAME amount of suspension. Paul is the one started it and poking fingers at players face is just disrespectful. Ingram for running back and attempting to throw a punch. 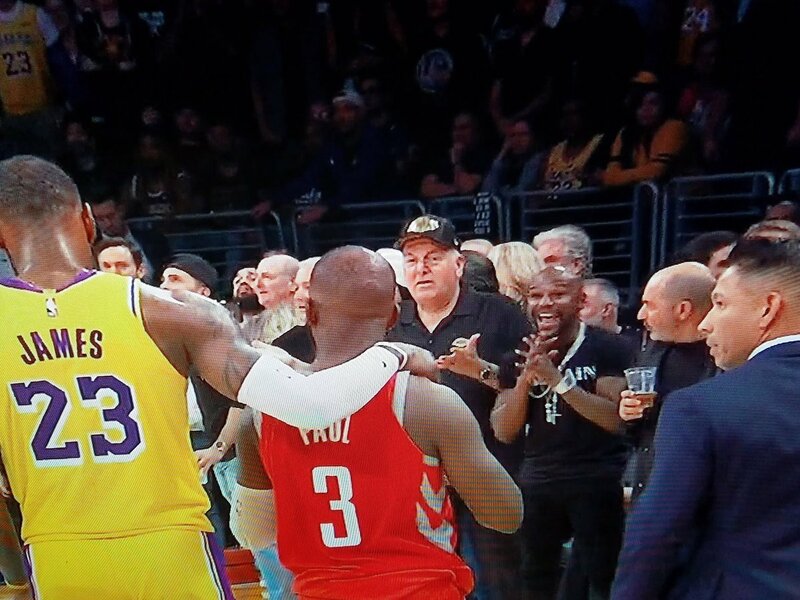 No way Rondo spit on CP3 based on that angle. He was getting get sick of all these no touch foul on harden and paul was getting. ingram has to show to the league, he isnt afarid to back down however running back and throwing a punch wasnt needed. the yelling and pushing harden was just enough. fair. but BI has that MAMBA MENTALITY!